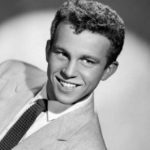 Robert Bobby Vinton is an American singer and songwriter. In pop music circles, he became known as “The Polish Prince of Poch”, as his music pays tribute to his Polish heritage. Known for his angelic vocals in love songs, his most popular song, “Blue Velvet” (a cover of Tony Bennett’s 1951 song), reached No.1 on the Billboard Hot 100 in 1963, and made No.2 in the UK in 1990. It also served as inspiration for the film of the same name. "All around as a person, on right decisions, on holding your money, on doing your trade, a good education is a must. I don’t think I would’ve done as good without an education." "Session musicians kind of respected me because what I was talking about made sense. That all came from an education. Believe me, education does you more good. Maybe that’s the reason I’ve been around so long." "I had a big troupe, a big army and it was a lot of fun. And, after 10 years of that, I just decided that I wanted to travel and do special dates. I go to Las Vegas these days." "Times were changing. Clothes were changing. Morals were changing. We went from romantic loves songs like I used to do to rock ‘n roll. Now that has changed to rap. So, there’s always a new generation with new music."